Building Inspections Melbourne conducts building Inspections and pre-purchase building inspections on houses and units Melbourne wide. Our services include standard and premium building inspections, pre-purchase home inspections, pre auction, vendor building inspections and pre home handover inspections. Same Day Reports – All reports are delivered the same day. No Waiting for reports! Building Inspections Melbourne lets you complete your building purchase with total assurance. Whether you’re building a brand new property, buying an existing house, bidding at auction, renovating or investing, building inspection Melbourne gives you the knowledge assuring the best investment outcome for you and your family! At building inspection Melbourne our focus is superior customer service, specialized knowledge, and reports which provide you with all the facts needed to assess the property and clearly satisfy the requirements of a sound investment. We believe in providing every single client with value, outstanding service and an experience that they will remember. Fit & Aggressive Inspectors - Unlike some of our competitors, we are experienced, fit and friendly. BUT most importantly very aggressive - MEANING - We will do anything it takes to assure you know exactly whats wrong with the property. We fully understand that it can be a last-minute decision to bid at auction and you may think it too late to have an inspection done on the property. This is not the case! We specialise in last-minute auction inspections. We have conducted thousands of building inspections. Every one is conducted in the same professional manner. Totally committed to honesty, Integrity and fairness. Melbourne's most detailed inspection reports! OR - Call Ph: 1300 662 101 for a Fast Price. ✔ We will also give you our estimate for the cost of repairs, which can be used to negotiate lower purchase prices. Order a bundled pre purchase building and termite Inspection and receive two professionally certified inspectors for the price of one. This is our total security pack and highly recommended. All of our combined Inspections will be performed by 2 fully qualified Inspectors. Both Inspectors will work together throughout the inspection process. We have experienced nothing but impressive reviews from our combined services. ✔Experience building and pest Inspectors. ✔Totally Independent. We work for you and only you! ✔ $1,000,000 Indemnity Insurance for your piece of mind. A pre purchase timber pest inspection is a critical step required to assess whether there is evidence of termites or other timber pests. Termite inspections are a specialist task requiring special skills. If you go with a dirt cheap quote, an uninsured or unqualified inspector, you're putting your home, your future financial security on the line. A combined Building and Pest Inspection is carried out by two individual fully insured and licensed inspectors. 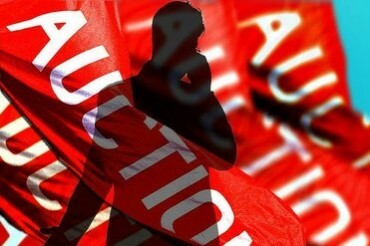 Auction contracts do not usually allow you to obtain a building and pest inspection once the auction is complete. In other words once the hammer is down (Sold) it’s too late to get a inspection. We can help by inspecting the property before you bid to assure everything is in order. ✔ We specialize in last minute pre auctions inspections: Going to auction and need a report fast? Just call us and we will make it our priority to access the property prior to auction. We also understand you could be outbid and may need inspections on multiple properties until you finally secure one. Building Inspections Melbourne pty.ltd can help save you $$$ providing follow up reports at half price. Thinking of selling? Don't wait until a purchaser requests an inspection to learn about the defects in your home. Having a Pre-Sale inspection done on your property before you even list it for sale can help you in so many ways. ✔Allows you to get an firm idea of potential problems that may need repair, and that may hold up the sale of the property. ✔ Saves time and helps the Agent and Vendor having to arrange multiple inspection by different firms which may also have different opinions on issues within the property. ✔ All the issues with the property are clearly noted prior to the sale, to avoid buyers trying to re-negotiate after the contact is signed. Asked your self this: Would you prefer to buy a car with a RACV check or without? Of course you would. The same goes for homes. Buyers will love it! Building as new home? Would you know if you were getting the top grade quality that your expecting, entitled to and even more importantly paying for? It's simply. Enlist the services of Building Inspections Melbourne pty.ltd to be your final independent judge on the quality and finishes being constructed into your new home. For your long term peace of mind and to protect your new investment, contact us and we'll ensure that you get the quality you're paying. We work for YOU and only you! You'll get a completely independent, unbiased assessment of the property before you buy! We know exactly what problems to look for AND where to find them! Our building Inspections are the most reliable and comprehensive in Melbourne! For both your protection and ours, we have full Professional Indemnity and Public Liability Insurance. We are that confident in the integrity of our Pre Purchase Building Inspections, that we offer FREE LIFETIME follow up advice and support. So if you need additional advice just call us anytime. We undertake Building Inspections in Melbourne and the State of Victoria with reports delivered the same day! Your moto on being committed to honesty, integrity and fairness is your service in a nutshell. Even the agent commented on your professionalism. Thanks for all the advice. Your eye for asbestos really saved us thousands of dollars and potentially buying a money pit. Thank you so much. Building Inspections Melbourne will help to make your dream a reality and not a nightmare!